Though Angela Donovan is out of work and needs money for rent, she yearns for her eight-year-old daughter to have a carefree holiday. The last thing she wants is the pressure of her daughter expecting a miracle. 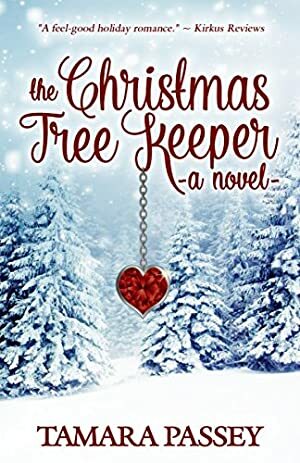 But when they pick out a Christmas tree at a cozy Massachusetts tree farm, that's exactly what happens when they learn the trees might cause miracles. Mark Shafer is soon to be the new keeper of the Christmas trees when he inherits the family farm. He'd like to run it with a family of his own, but his girlfriend wants nothing to do with farm life. He makes plans to sell so he can propose and pursue a career in music. Then he meets an unforgettable customer and her daughter, and an anonymous gift compels them to learn the truth about the trees. Log In to track Tamara Passey on eReaderIQ. to be notified each time the price drops on any book by Tamara Passey. to stop tracking Tamara Passey. We started tracking this book on February 14, 2015. This book was $3.49 when we started tracking it. The price of this book has changed 20 times in the past 1,528 days. The current price of this book is $3.99 last checked 12 hours ago. This book has been $0.99 7 times since we started tracking it. The highest price to date was $3.99 last reached on February 18, 2019. We last verified the price of this book about 12 hours ago. At that time, the price was $3.99. This price is subject to change. The price displayed on the Amazon.com website at the time of purchase is the price you will pay for this book. Please confirm the price before making any purchases.